While it is possible to do almost anything you need to do in Zotero with your keyboard, it can be rather cumbersome (think: tab – tab – tab – right arrow – right arrow – tab – return). Personally, I don’t like taking my fingers of the keyboard. For other people this may be a matter of health (e.g. RSIs) or even necessity. Here are a combination of tricks to use Zotero with the keyboard and tools to make it even more keyboard friendly. First things first. Zotero already has a number of keyboard shortcuts defined. You can find them in the Zotero preferences under “Shortcuts.” With version 4.0.12, the two base-modifier keys were changed on Linux and Windows to ctrl+shift (they remain cmd+shift on Mac). More excitingly, Zotero has added a keyboard shortcut for clicking the URL bar icon on supported pages — ctrl+shift+s. Adding an article to Zotero has become even more convenient! You can navigate around Zotero using tab and arrow keys, with return typically working like a mouse-click, though depending on what you’re trying to do, this may be a bit tedious. You can expand or collapse all items in both the left hand and the center panel (depending on which you have selected) by pressing the + (expand) and – (collapse) keys. You can start typing to jump to a collection (on the left) or an item (in the center). In the center panel the logic will follow the column you are sorting by. When entering information manually, shift+return allows you to add new items to a list. That’s true for authors (shift+return opens an empty new author) and tags&identifiers (shift+return opens and closes a large field where you can add multiple tags/identifiers separated by return). 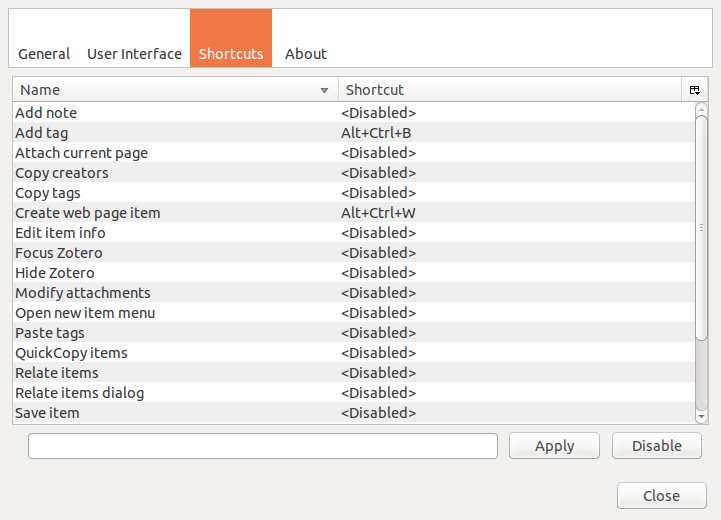 Zutilo by Will S. is an add-on designed to add better keyboard functionality to Zotero. While earlier versions relied on 3rd party tools (like keyconfig or Customizable Shortcuts) to provide shortcut functionality, version 1.2.5 offers its own. Note that as of this writing, 1.2.5 does not appear on mozilla add-on page, as it’s not reviewed yet. You can install it from the version history. These functions as well as Zutilo‘s other main functionality — advanced handling of attachments — are described in more detail in Will’s very thorough documentation. 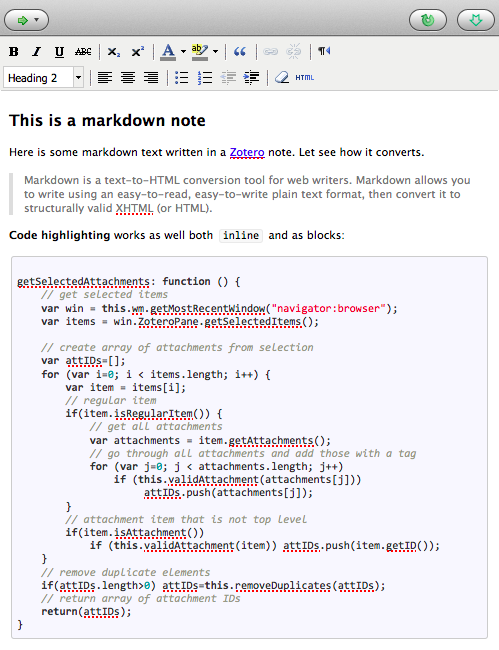 Via Joscha Legewie, the author of the indispensable ZotFile (if you‘re interested enough in Zotero to read this, I’ll assume you’re already using ZotFile) I recently came across Markdown Here, a nifty Firefox extension. Whenever you’re typing in a rich text editor in Firefox, you can write in markdown and the toggle that to rich text with the click of a button or, more appropriately and staying with the theme of this post, a keyboard shortcut. Btw. 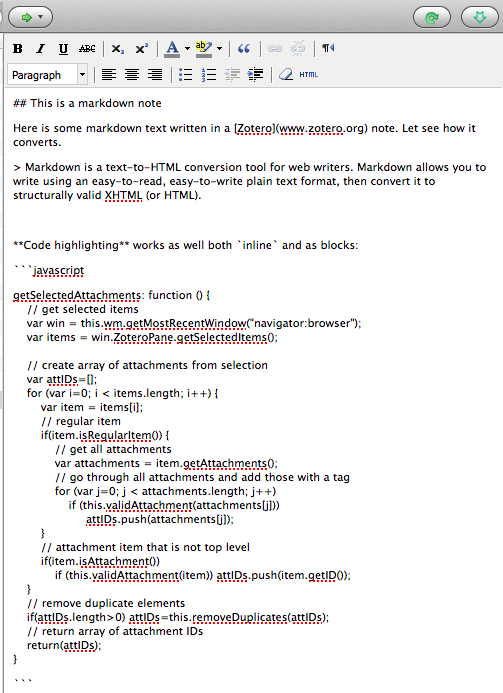 if you don‘t know about markdown yet, you should. It’s what all the cool kids (and even wannabes like me) are using these days. You won’t have a button, but you can use your keyboard shortcut to toggle. In Zotero Standalone this requires some tweaks, which Joscha has implemented in a fork. Some limitations remain. Happy typing everyone! This entry was posted in Uncategorized on August 21, 2013 by adam3smith.